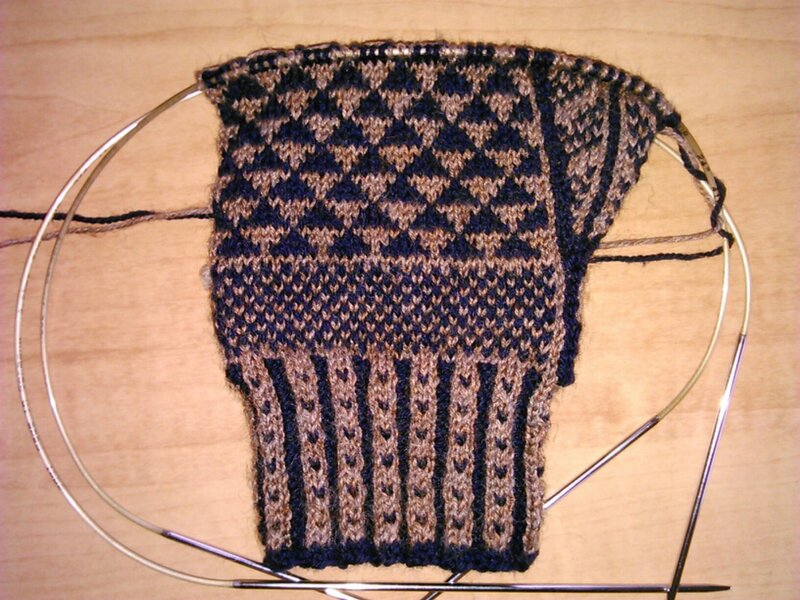 The mynydd gloves just having the ends darned in. These are my favourite pair ever! I’ve been playing with images and colours for the third in the set and thought that this pair would evoke the summer countryside in the Welsh county of Carmarthenshire. I have been planning to use several colours which is a break from the usual two. However, coming back to the table where the sketch book and yarns are, along with the ones being knitted and completed already, I think I might go back to plan A and use only two colours. Green and ?? white? Pale yellow? Blue? Lots of coloured pencils and scraps of yarn as I start to plan out the third pair in this series. Alternate rows of 5 and 1 sts and 3 and 3 make this pyramid pattern on the palms. 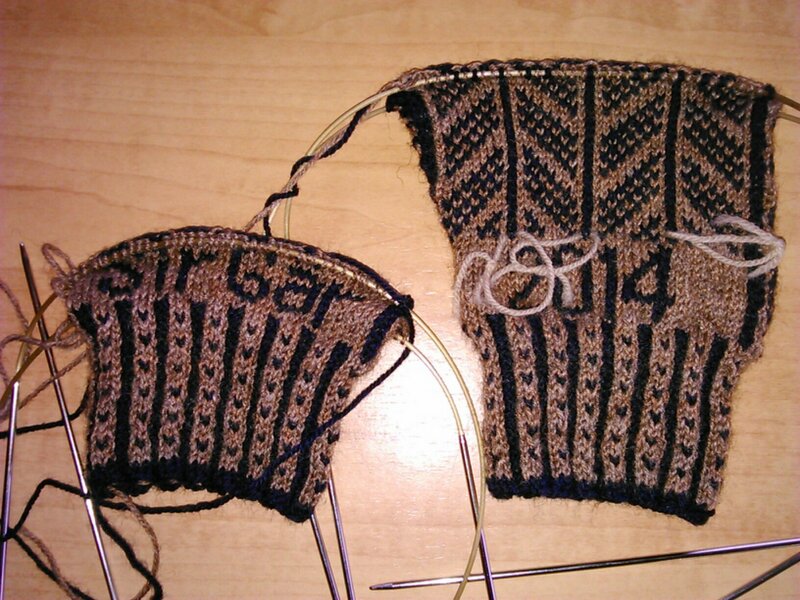 Most of the way up to the thumb on rh and cuff and name on left. 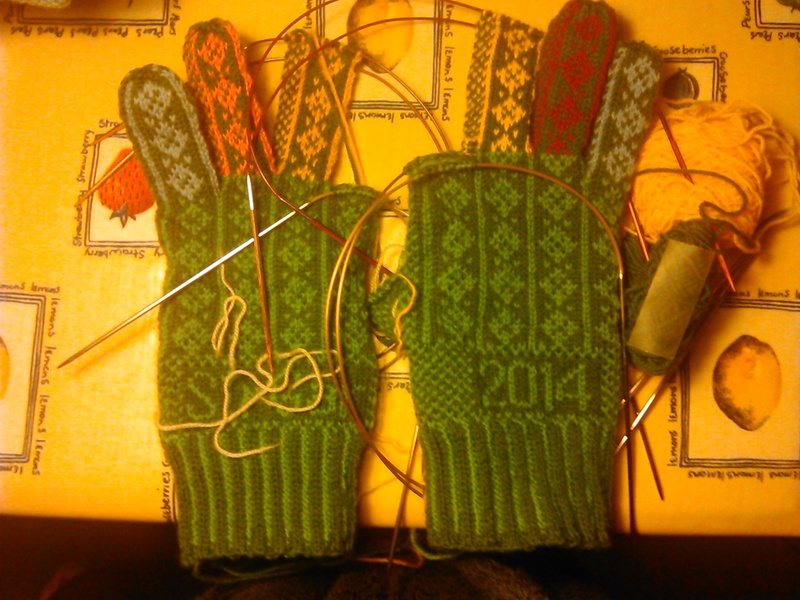 Have finished the cuffs using my new Additurbos. Very pleased so far. 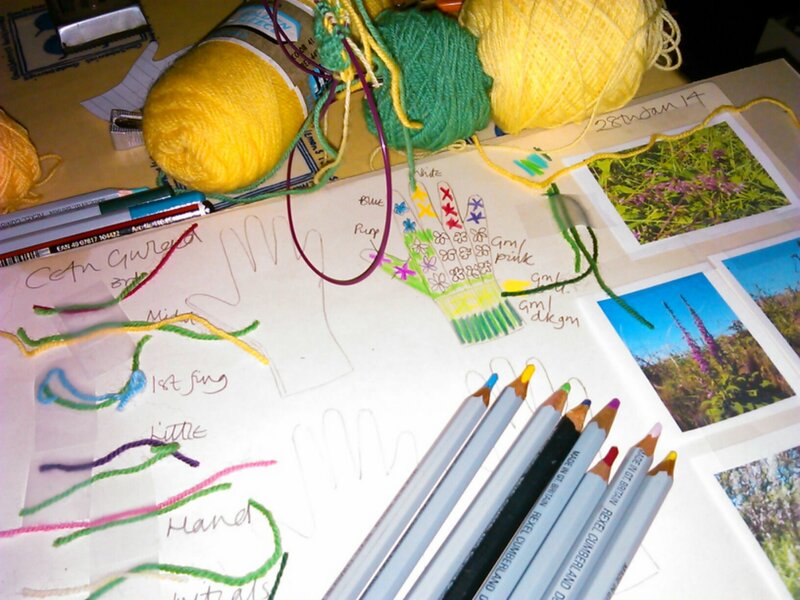 I decided to get started on another pair in the group of three that I’m designing and knitting at the mo … so these are inspired by the beautiful mountains of South Wales, so they are Mynydd gloves for now, mynydd being Welsh for mountain. 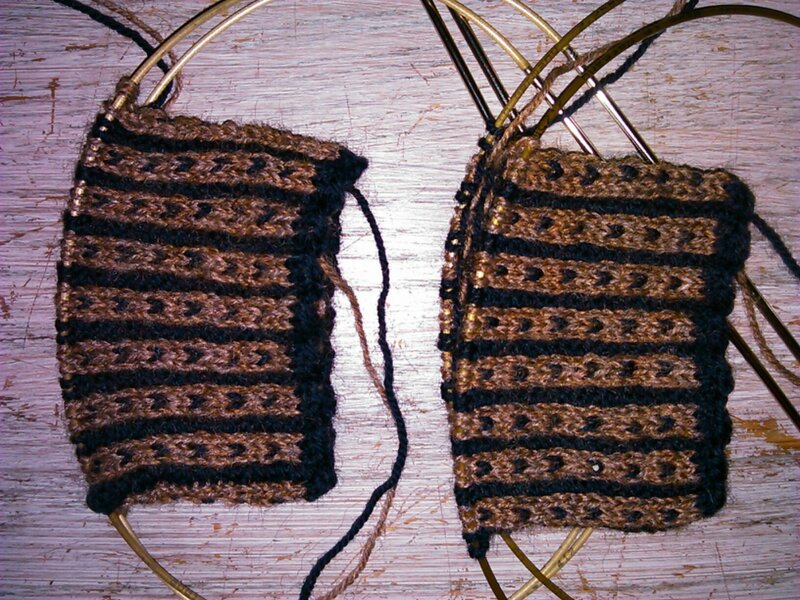 They are knit in vintage yarn from the Knitting and Crochet Guild, and I had a green and brown lined up for them. And here are the yarns with some of the pics that gave me the idea for putting brown and navy together. 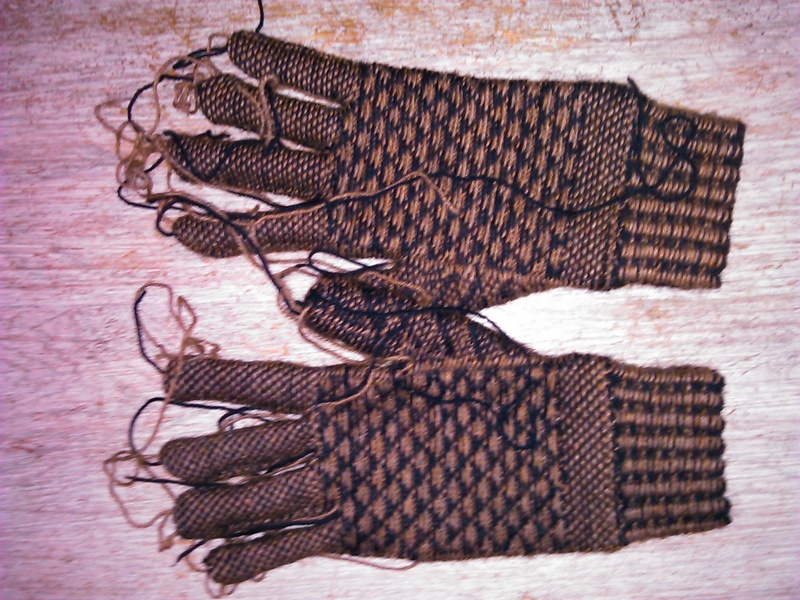 I have now started knitting the cuffs and I think they look good. I also treated myself to some Addi Turbos, 4 actually, in 2.25mm, 60 cm long. Perfect.